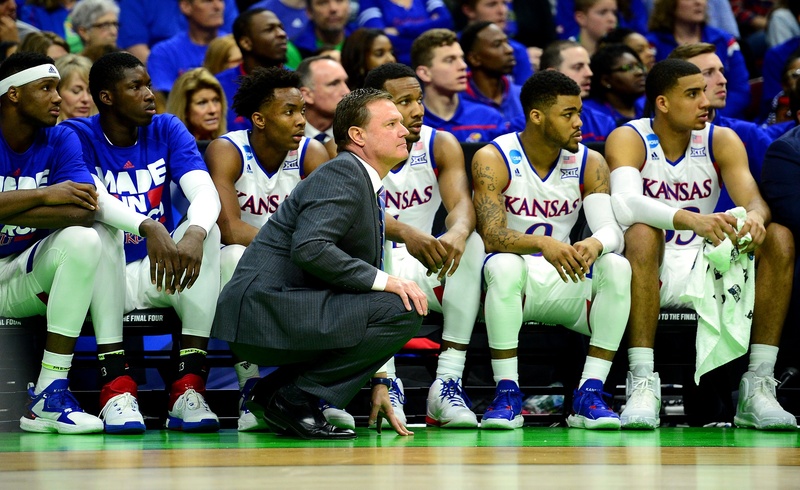 Kansas had an overwhelming talent advantage. There is always a pretty substantial talent mismatch in games between #1 and #16 seeds, but the talent differential between Kansas and Austin Peay was even greater than usual. The Jayhawks are known for having great depth and Bill Self’s team used that to their advantage all afternoon. Starters Wayne Selden and Devonte’ Graham battled foul trouble for much of the game, but that was no issue as Svi Mykhailiuk turned in a career-best performance, and seldom used freshman Legerald Vick also gave his team some very productive minutes. While Kansas was able to mine its bench for reinforcements, Austin Peay’s troops looked exhausted for much of the afternoon and Governors coach Dave Loos did not have the luxury of quality depth. Svi Mykhailiuk and Jamari Traylor were great off the bench. Great teams often get strong performances from their bench, and Kansas received that and more in the victory today. Sophomore swingman Svi Mykhailiuk turned in a career-best performance that displayed why NBA scouts are so enamored with his long-term potential. The sophomore finished with 23 points on 9-of-11 shooting (4-of-5 from three) and looked to be the best player on the court for most of the afternoon. Traylor, a rugged veteran, provided the Jayhawks with some much-needed first half energy that helped get over an early lull. Though he finished the afternoon scoreless, Traylor finished with nine rebounds (four offensive), two blocks and two steals. If Kansas can continue to get Mykhailiuk and Traylor to perform in spot duty from the bench, the sky is the limit for this talented squad. Austin Peay deserves credit for making it this far. It needs to be stressed that Austin Peay was not even supposed to be in this game. The Governors were the #8 seed in the Ohio Valley Tournament and needed to string together consecutive victories over the #5 seed, #4 seed, #1 seed and #2 seed to advance to the NCAA Tournament. The Governors were a hard-playing, gritty unit, headlined by the herculean efforts of senior big man Chris Horton in the post and on the glass. Austin Peay may have been out of its league this afternoon, but it must be remembered what it did to even get here at all. Player of the Game. Svi Mykhailiuk, Kansas. The talented sophomore was easily the best player on the floor this afternoon. The Ukrainian swingman finished with a team-high (and personal career-best) 23 points on 9-of-11 shooting (4-of-5 from three) and made some awe-inspiring defensive plays to assist with the winning effort. Mykhailiuk’s minutes have been a bit inconsistent this season, but performances like today show he cannot be taken lightly. 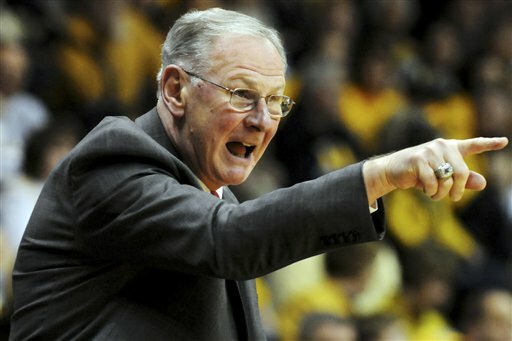 After finishing the 2012-13 season with a record of 8-23, Austin Peay head coach Dave Loos decided it was time to relinquish his duties as the school’s athletic director and refocus on his first love: coaching basketball. Loos had been at the school since 1990 and had led the Governors to three NCAA Tournament bids in his first 18 seasons, but in 1997, he added the role of AD to his title. Things steadily slipped over time, and even after Loos returned solely to the sideline, many wondered if the longtime coach would again compete for OVC championships. Austin Peay won only 20 games over the two seasons that followed Loos’ resignation before suffering through a middling 14-17 campaign entering last week’s OVC Tournament. The #8 seed in the event exhibited nothing on its resume to suggest that anything special would happen in Nashville. But therein lies the beauty of college basketball. After easily dispatching #5 seed Tennessee Tech in the first round, the Governors overcame a 10-point deficit with just over five minutes remaining to beat #4 seed Tennessee State. In a subsequent semifinal game that may have been the best of Championship Week thus far, Austin Peay then stunned regular season champion Belmont by a single point in overtime after the Bruins’ go-ahead putback was waved off. That led to Saturday night against #2 seed Tennessee-Martin, where the Governors trailed by nine early before charging back and ultimately coasting to their fourth victory in four days, an 83-73 win that came with an automatic bid to the Big Dance. James Horne of the Clarksville (TN) Leaf Chronicle is the RTC correspondent for the Ohio Valley Conference. LOOS ASCENDS: Undoubtedly the biggest story in the OVC this week is about a coach. Austin Peay’s Dave Loos just won the 400th game of his 24-year career in the Govs’ 76-71 overtime win over Southeast Missouri on Dec. 3. That made him 400-318 all-time. With a victory over EIU on Dec. 5, Loos would tie would tie Cal Luther – former coach at Murray State and UT Martin – for the most victories in OVC history with 319. Loos has been with Austin Peay for 20 seasons and owns a 318-265 record. Loos is already Austin Peay’s all-time winningest coach. EAGLES VS. RACERS: The two teams picked to win the OVC this year meet for the first time in Murray, Ky., on Dec. 5. Both defending champion Morehead State and Murray State were the preseason choice to win the league as both gained 10 first-place votes and 154 points. The Racers have actually won six in a row since a season-opening loss five-point loss to No. 12 California. 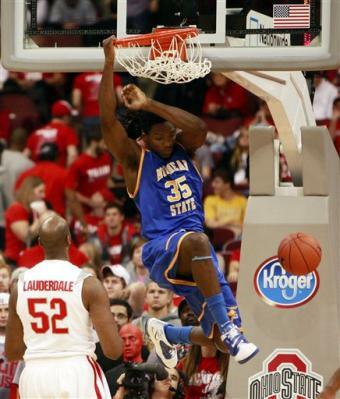 Murray State has won those five games by an average of 32.2 points. Morehead State junior Kenneth Faried had his third double-double in four games this season, scoring 12 points and pulling down 15 rebounds in 34 minutes of play in a loss to Kent State on Nov 29. Faried has had a double-double in every game except the team’s season-opening loss at No. 4 Kentucky.